The Kimag-10-LED measuring magnifier (also called a Scale Loupe) from Kitotec is similar to the Peak 1983, but with LED illumination providing outstanding display quality and setting a new benchmark in this price range. An achromatic (chromatic aberration corrected) clear glass optical system consisting of 4 elements and 2 component assemblies ensures distortion free viewing right up to the edge. The Kimag-10 Measuring magnifier has a smooth focusing ring for manual adjustment to ensure a clear image. The measurement graticule scale (same type as used in the Peak 1983 magnifier) is made of glass and has graduations of 0.1 mm with a measuring length of 30 mm. The housing contains a ring consisting of 8 LEDs (and 4 x AG9 batteries), which provide bright, high-contrast illumination of the entire measuring field. 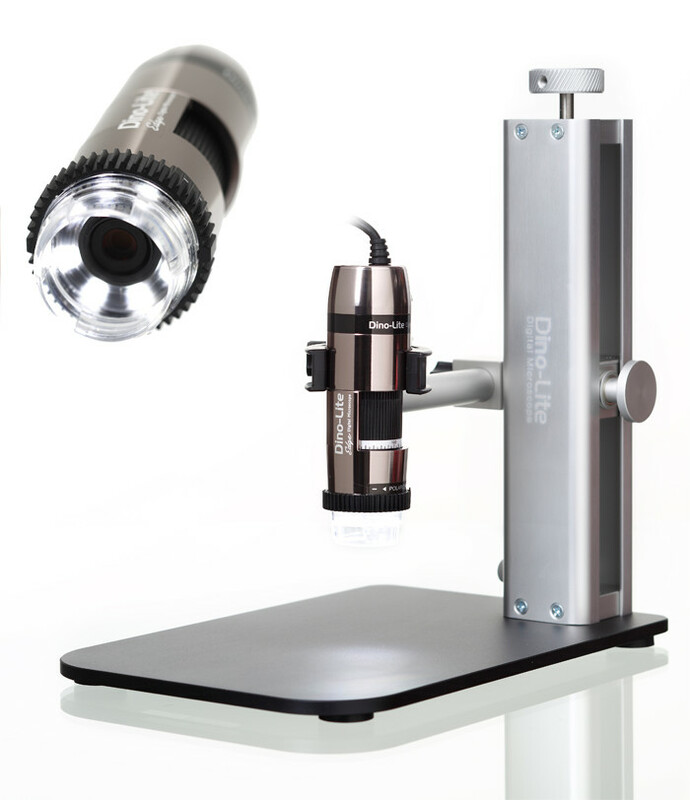 The conflict between high resolution and wide field of view was able to be fully resolved in this product making it a most efficient inspection loupe. For higher transmission the lenses are coated with anti-reflection coating. Sixteen different graticule scales with special black or white graduations to suit different industries are also available for these measuring magnifiers and maybe easily interchanged (code: S-1983). Order at the same time or later. The standard scale is included and is easily removed by unscrewing the retaining ring. The Kimag-10-LED is also available with UKAS calibration certificate, code S-1983-S-UK. Calibration of this measuring magnifier is available as an extra service in accordance with UKAS. To order a calibration certificate for this magnifier fitted with the standard graticule scale the part number: S-1983-S-UK should be added to your order. If you require calibration for one of the other available graticules please contact us to obtain a quotation. Measuring magnifiers, or scale loupes as they are sometimes called, are magnifiers with an integrated graticule scale which is placed on the area to be inspected for taking precise measurements of small parts, such as length, angles, diameters, line thickness, thread pitches. We stock the widest selection of professional scale loupes, comparators, graticule magnifiers and accessories with superior optical quality from premium brands such as Peak of Japan.